Johnson & Bryan helps those in San Antonio Texas with debt lawsuit defense and debt settlement relief. As the 7th most populous city in the nation, San Antonio, Texas is a great mix of both historical and current culture. 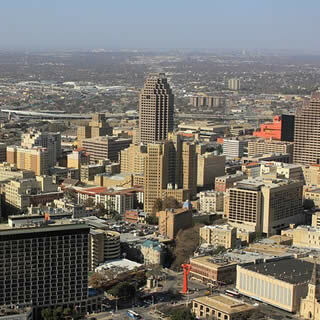 One of the first civil settlements in Texas, San Antonio has grown to have one of the largest military concentrations in the US. Our office is conveniently located off of 410 North near the airport. However, because of court appearances and our other offices, the San Antonio office is by appointment only. Simply give us a call to discuss your case, and we can arrange a meeting at your convenience. If you're facing a debt lawsuit here in San Antonio, don't hesitate to give the law firm of Johnson & Bryan a call. We specialize in debt defense, debt settlement and bankruptcy here in San Antonio, Texas and have help 1000's of other clients get debt relief. Both the local and federal courts here in San Antonio can be intimidating for those not familiar with the process. Regardless of the situation you are facing, we can help you come up with a plan to get you free of your debilitating debt. The laws in Texas surrounding debt lawsuits and debt collection are complex and simple mistakes can cost you thousands of dollars. Let our experienced attorneys guide you through the process. In many cases, we can help you win your case without you ever having to take time off from work or step foot in a San Antonio courtroom. It's important to remember that time is of the essence when it comes to dealing with this matter. There are strict deadlines and paperwork that must be filed on time, or your creditor will win a judgment against you. We've tried to make the process as easy as possible, we have proven, verifiable results, and we offer affordable payment plans to help you get the legal help you need. Get in touch with us today in San Antonio, and get back on the road to financial freedom. Let us help you get your San Antonio lawsuit resolved! !